Knee pain makes a big difference in your life. So can knee replacement with Navio Robotics Assistance. 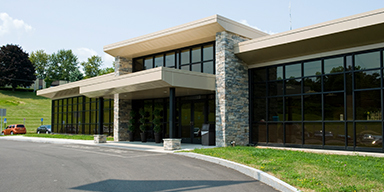 A first-rate, not-for-profit medical center, serving residents of Ithaca and the central Finger Lakes Region. 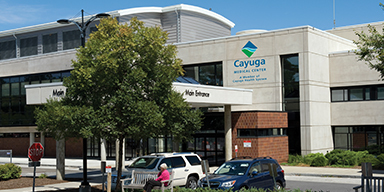 A 25-bed critical access hospital, with a 120-bed skilled nursing facility. I've been here several times for surgeries and they're amazingly kind and compassionate! This is my first surgery that I've been required to stay a few days and I couldn't ask for better staff! They're always kind, helpful and compassionate! Could not have asked for better care. The nurses and PA were friendly, caring, professional, and thorough. They even made sure to provide me with all the information I needed for follow up care.